Souvenirs are the perfect way to carry home reminders of your Alaskan adventure. But you don’t want to discover later that your memento was made in China. Instead, choose one of these five locally-made keepsakes for an authentic Alaskan memory. Originally made from slate, these traditional, curved knives now feature a stainless steel blade and a wooden handle. The knife was used for many things including skinning seals and cutting hair. The oldest ulus found date to 2500 BC. 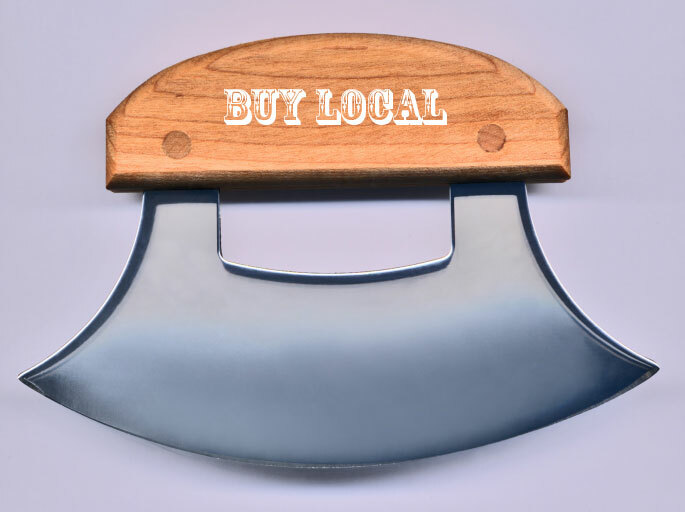 The Ulu Factory in Anchorage showcases a large selection. The round blades are perfect for chopping vegetables and herbs. If you’re flying home, be sure to put this one in your checked luggage. It’s not all about totem poles. Alaska is home to eleven Native cultures and you’ll find the carvings as diverse as the people. Alaskan carvers (traditionally men) craft everything from birch bowls to ivory dice. Native carvings are the only legal way to purchase new marine mammal ivory. Look for variations between carvings—they are like the artist’s fingerprints and ensure that your piece has been carved, not cast. Another way to tell a carving from a casting is that stone is cool to the touch while resin is warm. Furry, warm boots have been all the rage for years in Hollywood. But you don’t have to get yours from Australia. 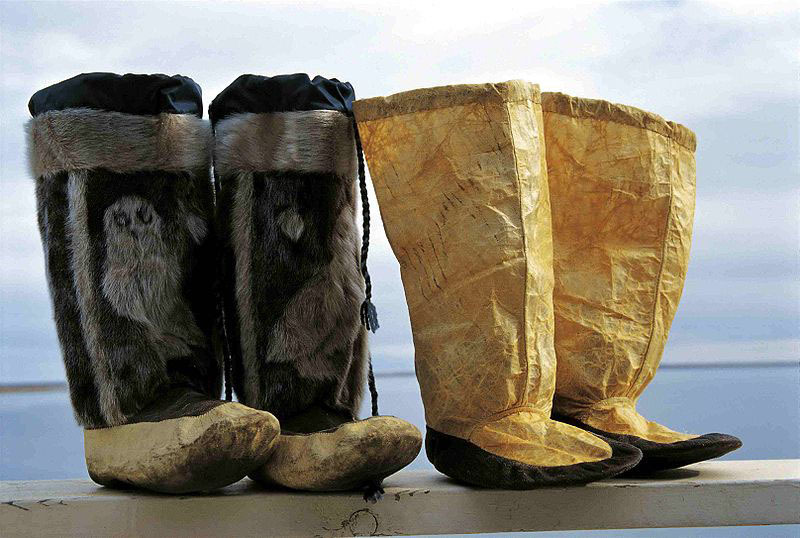 The original mukluk (pictured above) was worn by the Inuit and Yupik peoples to stay warm in Arctic winters. Modern versions come in a wide range of styles—all with practical, rubber soles. Purchase an authentic pair of mukluks made from lamb, beaver, or even coyote and guarantee the warmth of your feet for many winters. Called “Qiviut,” the underwool of the musk ox is eight times warmer than wool from sheep. Plus it’s not itchy. Run by a Native cooperative, Oomingmak in Anchorage sells hand knit goods. Their Native knitters use traditional patterns that relate to their individual villages. 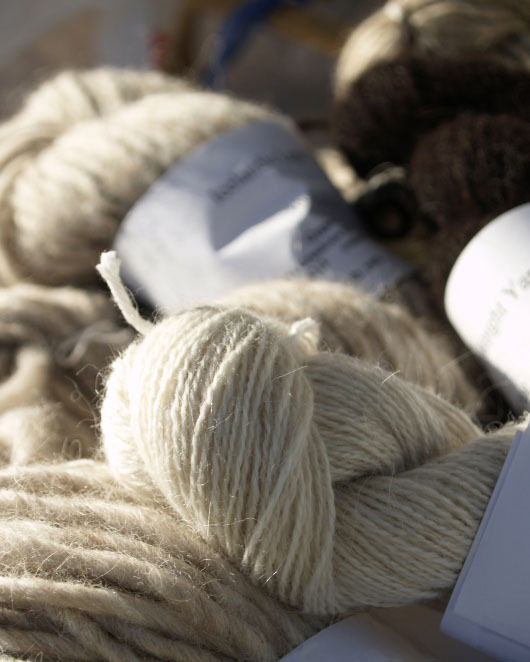 If you’d rather knit your own, qiviut can be found in many craft stores in Alaska. The wool is somewhat pricey, but it’s a dream to work with. Alaska’s locally-made crafts aren’t all traditional. Many Alaskans use the long winters to create fine works of contemporary art. Visit galleries in Fairbanks, Talkeetna, and Anchorage to discover the next hot Alaskan artist. If your eyes are bigger than your suitcase, most galleries will arrange to have your artwork sent to your home. Look for an official Made in Alaska seal. 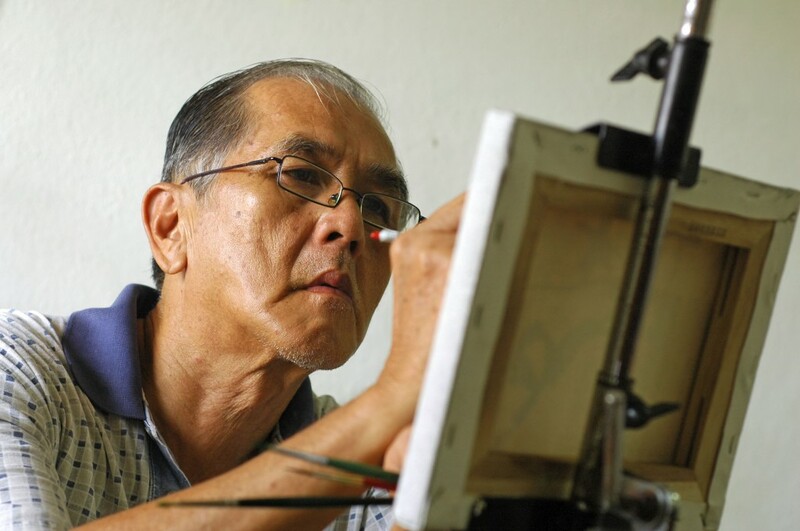 In addition, Native crafts often display a Silver Hand tag and an artist bio. Document your purchases for future generations by asking your salesperson to write down anything they have told you orally. Law prevents non-tribal members from presenting their work as “Indian” or “Native American.” For more information on the legalities, read this pamphlet from the State of Alaska. Learn more about the tribes of Alaska and find souvenirs at the Alaska Native Heritage Center in Anchorage. What are you looking for in a souvenir from your Alaska vacation?